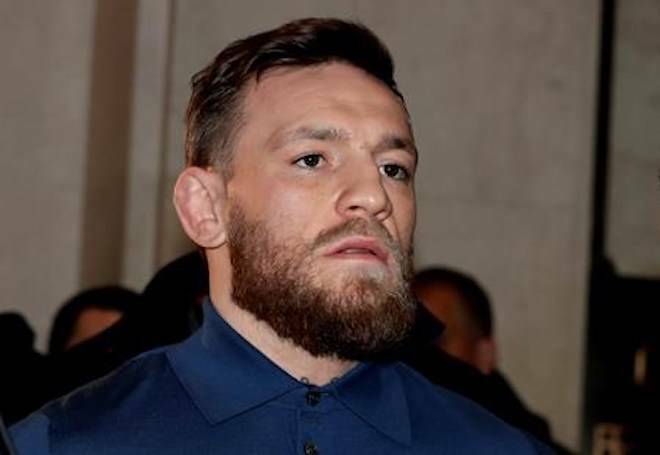 McGregor is due in court amid plea negotiations to resolve charges stemming from a backstage melee at a New York City arena. Jul. 26, 2018 6:00 a.m.
Mixed martial arts star Conor McGregor pleaded guilty Thursday to disorderly conduct in exchange for community service to resolve charges stemming from a backstage melee at a New York City arena. McGregor will also be evaluated for an anger management program in addition to his five days of community service. The 30-year-old Irish fighter was joined in Brooklyn court by his 25-year-old friend and co-defendant Cian Cowley, who got three days of community service and anger management. Video showed what appeared to be McGregor hurling a hand truck at a bus full of fighters after a news conference for the UFC 223 event at Brooklyn’s Barclays Center in April. Two fighters hurt by broken glass were unable to compete. McGregor has paid to fix the damaged bus.